Ever heard of Pandora? Of course you have! It’s one of the most popular music streaming services out there right now. There’s only one real issue with it. It’s locked in a browser. This might not sound like a huge deal to some, but it actually is. 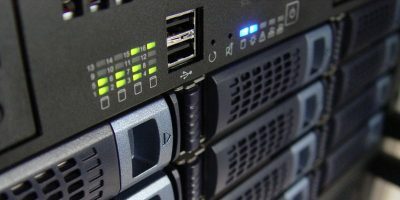 Flash is a heavy plugin, and sometimes it can slow down your machine if you don’t have a lot of resources. This is largely the problem that Pithos is attempting to solve. 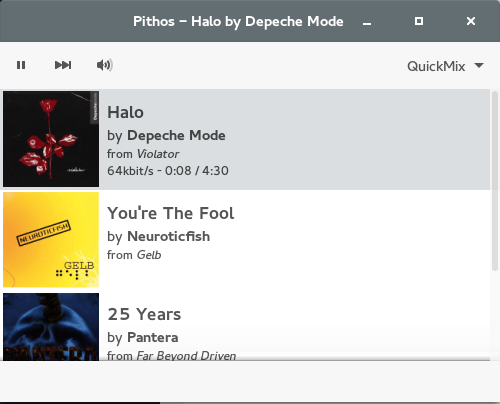 It’s a lightweight Pandora radio client for Linux. 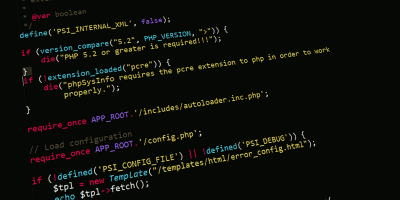 If you’re on Ubuntu, you’ll need to add a PPA to get Pithos up and running. 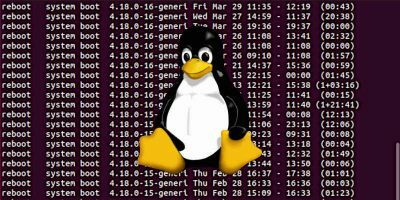 Open a terminal, and enter the following commands. 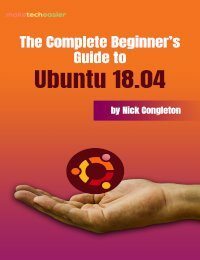 Once you’ve added the repository to your Ubuntu installation, you’ll need to update your software sources to reflect the changes. After your system has updated its software sources, you’ll be able to install Pithos. Want to run Pithos on your Fedora system? You’ll need to set up the RPM Fusion repository first. Head over here to set it up. After that, open a terminal window and enter the following. One of the downsides of using Pandora.com for your music listening is the fact that not everyone likes to have a tab open. Another downside is the fact that website-based music platforms are mostly built with Flash and tend to use up a lot of system resources. 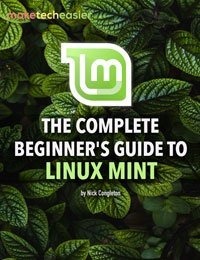 This kind of thing presents a problem for users on Linux with a limited amount of resources. And this is the market that Pithos has been created for. 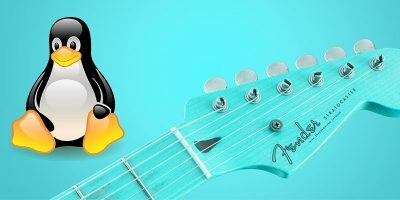 By using it, you’ll be able to enjoy everything that Pandora has to offer without having to use heavy browser plugins. 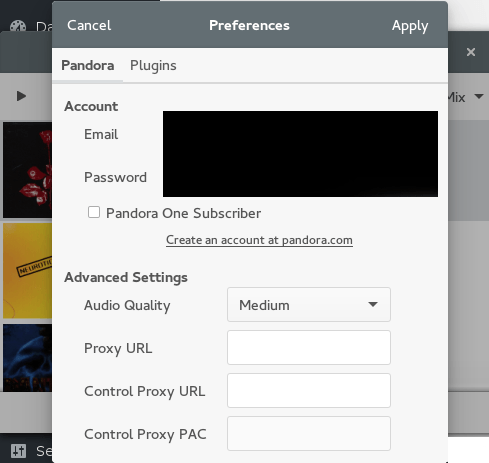 Another bonus with using this client for Pandora instead of the website is the amount of configuration that it gives you. In the preferences section, Pithos will allow you to change the audio quality to your liking (something you have to pay for on Pandora.com). 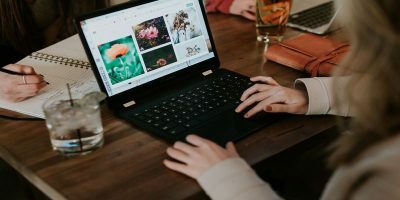 This is perfect if you have a slower Internet connection or perhaps a data limit. The case for Pithos isn’t just one based around performance, though. It also has some really handy features – ones that the official Pandora player will probably never have. For starters, this program supports last.fm scrobbling. This is a killer feature for those of us who like to scrobble music. It’s not only last.fm support, though, Pithos has a lot of other plugins, too (system tray icon, desktop notifications, media key support, etc.). 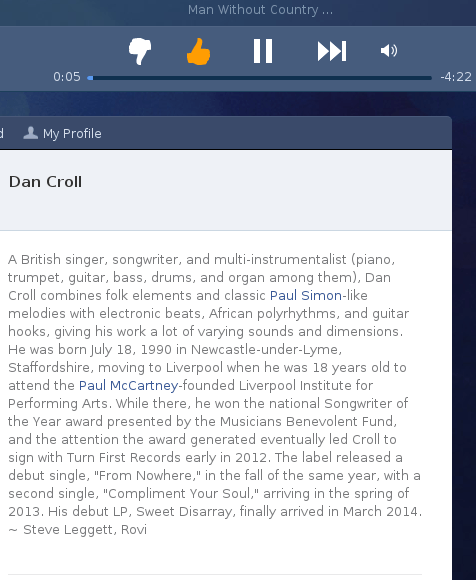 If you love using Pandora but wish it had more options, this client is your best bet. While Pithos is designed to be very light and easy on system resources, it is very much a power user’s client. 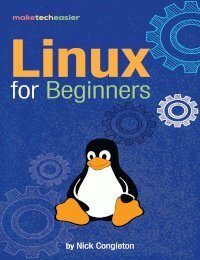 When you use it, you get a whole bunch of plugins to mess with, integration with your Linux desktop and other things along those lines. If you’re not the kind of person that really cares about adding features to Pandora, or at the very least reducing its impact on your system, Pithos probably isn’t for you. Not to mention, even with all the added plugins and other things, the client still manages to top the web interface. 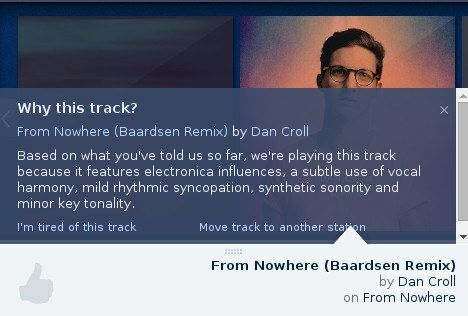 Take the “why was this song chosen” feature that the Pandora web player has. It’s a really nifty bit of info that tells you why they played a certain song. This is absent from Pithos. – and that’s not all. Since the client is very bare bones, you don’t get things like lyrics or thumbs up. Sure, you can “love or ban” music that plays, but it’s very unintuitive and inferior to the way the web player does it. Pithos is by no means a terrible program. It’s not. It’s a great tool for those looking to enjoy a Pandora experience in a different manner than what is available. Undoubtedly, this creates a bit of a tradeoff: performance and plugins versus intuitive interface and an overall better end-user experience. The web player is the best option for normal people who don’t care about frills or performance. 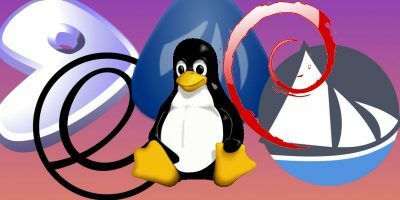 If all you want out of Pandora is listening to your favorite music and nothing more than that, consider skipping over installing Pithos to your Linux distribution. In most cases it is lighter than the browser version of Pandora. 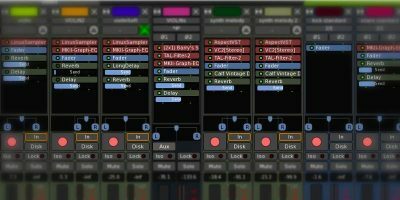 Plugin support including Last.fm scrobbling, Media keys and more. 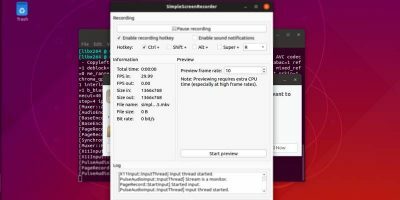 Direct control over audio streaming quality via settings for free. Because of its basic design, it does not show detailed information about artists like on Pandora.com inside the player directly. Out of all of the streaming music services on the Internet, Pandora is perhaps the most popular. It’s been around for a very long time and has some impressive algorithms in play to help find exactly what you need. While that’s great, it’s clear that the service itself could use a bit of a boost. The web player runs with a Flash plugin that can be considerably heavy, not to mention it’s locked in the browser and doesn’t really play well with Linux since it’s a web interface..
That’s where Pithos comes in. By no means is it the perfect replacement for those looking, but it’s a great start. It uses considerably less resources than a heavy browser with a flash plugin and has tons of plugins to satisfy your want to expand Pandora and just about everything else. Because it’s country restricted how to unlock?